Lucy thinks the Ricardos need a larger apartment now that they have the baby, so she tries all her tricks to cajole Ricky to switch apartments with Mr. And Mrs. Benson, who have recently married off their daughter and don't need the extra bedroom. Lucy fills her apartment with junk, including a sliding pond and teeter-totter, to give it a "cramped" appearance; but Ricky is worried about the additional twenty dollars per month the larger flat will cost until Lucy promises to pay the extra cost with her household budget. Mrs. Benson, who is still bemoaning the "loss" of her precious daughter, finally agrees to exchange apartments. Lucy, Fred, and Ethel perform the moving chores themselves (Lucy is the foreman, much to the Mertzes' consternation), and the Ricardos end up in a new apartment (3-B) with a window in the living room. 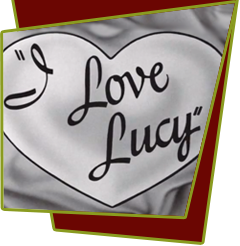 Special Notes: In this episode, Jerry Hauser became the official I Love Lucy announcer for which he earned $70 per week. Bloopers: Lucy tells Mrs. Benson that some of her best friends are furniture movers, obviously enlisting the aid of the Mertzes in helping Mrs. Benson move her things to the Ricardos' old apartment. After Mrs. Benson goes to get the key to her apartment, Vivian Vance (as Ethel) flubs her line and says: "If you think I'm going help you mar- carry all this furniture..." This was shortly after the ladies were discussing Mrs. Benson's daughter's recent marriage.